Our marble coffee tables come in simple, yet impacting designs. 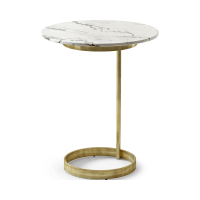 Choose from round, square, or rectangular table tops, wood or metal legs, and black or white marble. 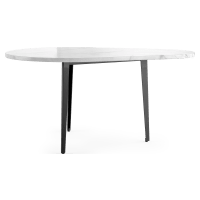 Although they’re perfect in a minimalist, Mid-Century Modern space, marble coffee tables are easy to pair with any design style. 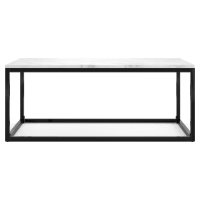 A table with a metal base may look great in your Industrial style home, while a small marble table with wood legs could fit into your Scandi-inspired lounge room perfectly. Want to decorate your outdoor space with a marble table? Then choose one of our outdoor tables, with additional features to protect your furniture from the elements. Whatever style you choose, these fashion-forward coffee tables are designed with durability in mind. All our furniture is crafted by artisans using only the best materials to ensure its longevity. 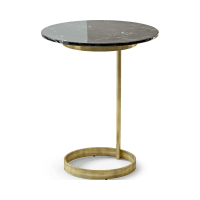 With our marble coffee tables, expect to see such features as additional frames for further support or rust-resistant metal frames. Ready to invest in a quality coffee table for years to come? 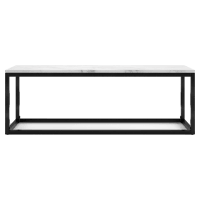 Browse our collection of marble coffee tables in various colours and styles online at Brosa today.